Today is my teacher Thich Nhat Hanh’s 89th birthday. To my mind, he has been one of the greatest religious communicators of my lifetime, but about 11 months ago he suffered a devastating stroke and only in recent months has he said even a word or two. Yet, according to reports from his nursing home in San Francisco, he is able, using gestures, to remind those around him to stop and breathe and enjoy the present moment. 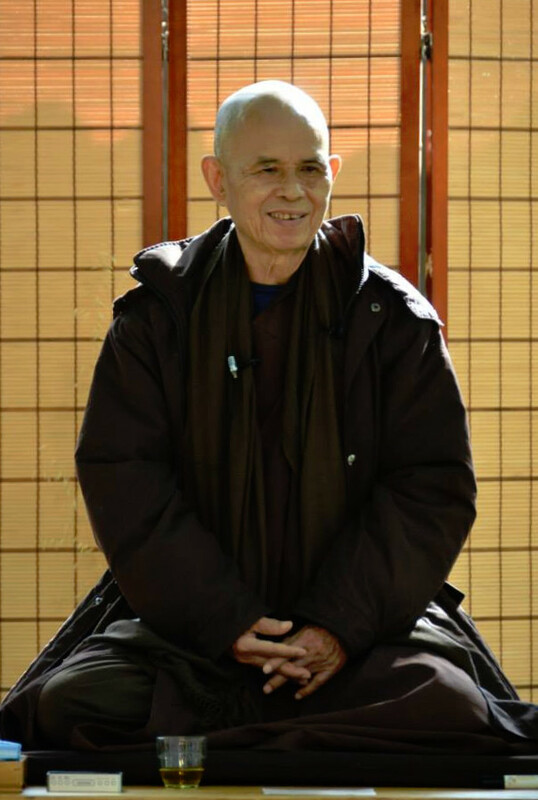 Known simply as Thay (Teacher), he has given the world much, including about 100 books in English. Martin Luther King Jr. nominated him for a Nobel Peace Prize for work that he did to end the Vietnam war, but Thay’s messages are simple. He conveys them over and over again: Stop. Breathe. Enjoy the moment. Listen mindfully to others. Cultivate your compassion. Speak and act from love. The thing is, he conveys those messages so well and in so many ways that we never tire of taking them in. He is a modern-day Bodhisattva. May I live with ease. May they live with ease. May all beings live with ease.